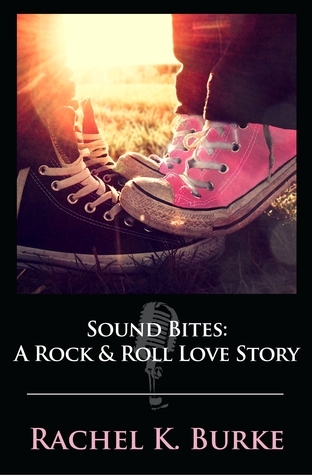 Sound Bites is a musically inspired love story, and my overall intention of the book was to highlight the bond that music forms between people. As an avid creative arts lover, I’ve always felt that music was something that connects people, which was the primary concept I wanted to emphasize. Sound Bites focuses on Renee Evans, a twenty-five year old music journalist, and Dylan Cavallari, an aspiring musician. Renee has just moved back to her hometown of Boston after walking in on her best friend, Justine Sterling, and her boyfriend, David Whitman, in bed together. Soon after she arrives home, she meets her new neighbor Dylan, who lives in the apartment upstairs. Although the two get off to a rough start, their mutual love of music eventually forms a bond between them, thus leading to a romantic affair. In the end, Renee and Justine reconcile their friendship, but because the story mainly centers on Renee and Dylan’s relationship, readers never get a chance to see what really transpired between Justine and David. In the sequel, Love Bites (to be released fall of 2013! ), we get a chance to reflect on Justine and David’s past and watch their story unfold, as well as see what happens with Renee and Dylan’s future. Here is a short except from Love Bites – Coming soon! When I awoke in the morning, it took me a minute to realize where I was. White walls… navy bedspread… not much evidence otherwise. Then I looked over and saw David’s sleeping face, buried in a navy and white striped pillow. It all came back to me in one giant wave. The whiskey. David telling me he loved me. His hands on me. Carrying me to the bedroom. I crept quietly out of bed, bolted to the bathroom, and threw up. I knew the whiskey was only partially to blame. The disgust I had for myself was far more nauseating. How could I have done this? To Renee of all people? She was the last person in the world I’d ever want to hurt, and I’d committed the ultimate betrayal, all because I just wanted someone to love me. Sadly, I did have someone who loved me. But apparently, she wasn’t enough. I thought back to all the times Renee had come to my defense. When my mom found a joint in my backpack and she took the rap for it. Letting me borrow money she didn’t have for things I didn’t need. Helping me with my UCLA application so we could move away together. She had always been the first person to come to my rescue. I leaned over and threw up again. Luckily, David’s bathroom was stocked with Listerine, so I managed to pull myself together into a presentable human being again. I pulled my disheveled hair back into a ponytail and stood up to face myself in the mirror. To anyone else, I looked like an attractive, petite brunette with wide blue eyes, a button nose, and a girl next door smile. To me, I looked like a girl who was so busy wallowing in self-pity that she betrayed everyone who loved her because she didn’t love herself. I had done the unthinkable, all because I thought if some guy loved me, then I was worthy. “Good morning beautiful,” he mumbled, burying his head in my neck. When I didn’t respond, he looked up at me with sleepy eyes. Although he looked adorable with his messy bed hair, all my feelings for him seemed to have temporarily subsided. I just stared at him, panic stricken, unable to speak. David was in love me, too. I didn’t know what to say. No matter which direction I took, I couldn’t win. I heard her before I saw her. It happened so fast I didn’t have time to react. The sound of doors closing. Footsteps in the hall. The look on my beautiful best friend’s face when she came face to face with her boyfriend and best friend. In bed. Together. Rachel Burke is giving away 2 e-copies of Sound Bites to 2 lucky readers. You must be at least 13 years old to enter. Giveaway is open to all.